Combining quick access, concealment and the latest technology, the Vaultek Slider series is built to impress! Achieve lighting quick access to your favorite compact or sub-compact handgun with the new signature three-point precision rail system with ball bearing guides that rapidly deploys the safe open and presents a stored firearm in the ready position. It's slim vertical design and endless mounting options make this the ideal safe for under a desk, on the side or under the bed or nightstand, on a bookshelf or in a vehicle. 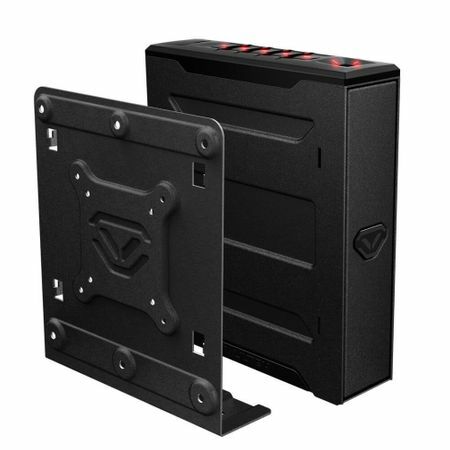 The Included Proprietary Mounting Plate allows for multiple mounting configurations including standard VESA 75mm and 100mm hole patterns, and allows the safe to remove from the mounting plate in seconds. In terms of security, the Vaultek Slider is made of 16-gauge carbon steel with a durable finish to prevent corrosion and ensure long lasting protection of your firearm for years to come. 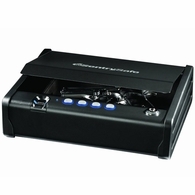 Keeping the slider locked in place is a single anti-impact latch that keeps the safe locked even under impact. 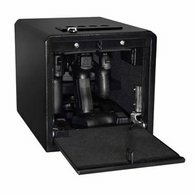 Vaultek provides a variety of options to gain access to your firearm including a Biometric Fingerprint Scanner, electronic combination lock, Bluetooth app, optional smart key, and override key. All of this is powered by a rechargeable lithium-ion battery that provides power for up to 4 months and charges in 2.5 hours with the included micro-USB charging kit. 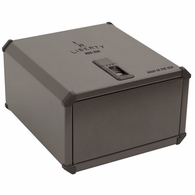 The refined interior features non-absorbent closed cell foam padding to holster and protect a single firearm plus a spare magazine. 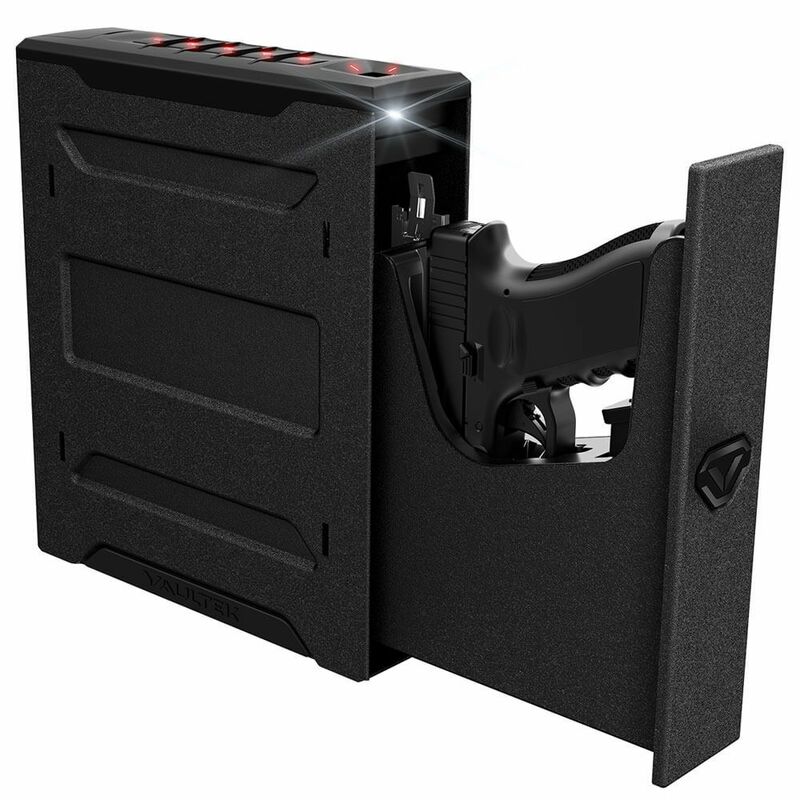 As soon as the door begins to slide open an adjustable interior LED light turns on to provide visibility to the placement of your pistol in low light situations. The target fitment zone is 8" H x 5.75" D please measure your handgun prior to purchase to ensure it will fit. Nearly all compact and sub-compact handguns will fit. Pistols with scopes or lasers that increase the height will likely not fit.